Global Village, the region’s first multicultural festival park, broke records this 45th National Day with an unprecedented number of attendees. The celebrations lasted from the 1st to 6th of December, during which time more than 500,000 number of guests came to celebrate the unity of the UAE at the beautifully decorated Global Village. The activities included something special for people of all ages, where ladies were seen getting their hands filled with beautiful henna designs while the men enjoyed traditional coffee with dates surrounded by their friends and family. Children were treated to special shows by Shaabiyat Al Cartoon as well as Globo, the much loved mascot of Global Village. 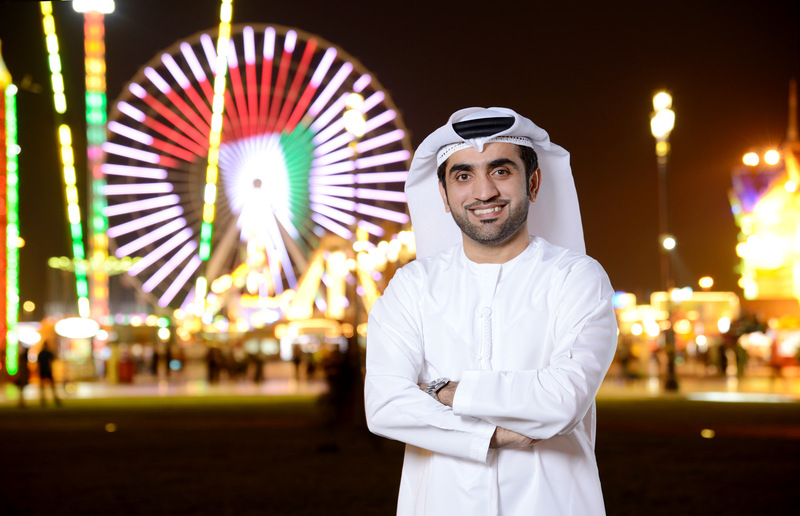 Commenting on the turnout, Ahmed Hussain Bin Essa, CEO of Global Village expressed his happiness at the success that Global Village has seen so far, in relation to the large number of guests who celebrated National Day at Global Village. He also emphasized how proud he was that Global Village hosted and delivered world-class events and activities that reflected the UAE’s rich heritage in order to educate the guests of Global about the customs and culture of the UAE. Global Village was decorated with nearly 100,000 flags across all its facilities and pavilions, while also handing out more than 45,000 flags and national scarves to its guests over the duration of the celebrations, and provided Emirati henna for its guests during the six days of celebration for free. Guests came from across the country to watch some of the best national performances, which included the operetta ‘UAE – the Nation of Tolerance’, which is considered to be the largest theatrical production held during the National Day celebrations, the Friday night concert of both Moudad Al- Kaabi and Mohamed Menhali, which were highly successful in attracting large crowds. Other activities also included the Emirati folk dances such as the Yola and Yalh on the main cultural stage organized by the UAE pavilion as well as the ‘My Blood My Country’ blood drive , which was organized by Al-Ameen, Dubai Health Authority and Global Village from the 1st to 3rd of December. During its 21st season Global Village is offering a festive schedule of activities and performances that are being represented in the region for the first time, until the end of its season on the 8th of April 2017. Global Village’s opening hours are from 4-12am Saturday-Wednesday and from 4-1am on Thursdays and Fridays in addition to public holidays. Mondays at Global Village are family and ladies only days. for more details visit their website here . Comments Off on 6 Dubai Restaurants you need to try! 6 Dubai Restaurants you need to try!